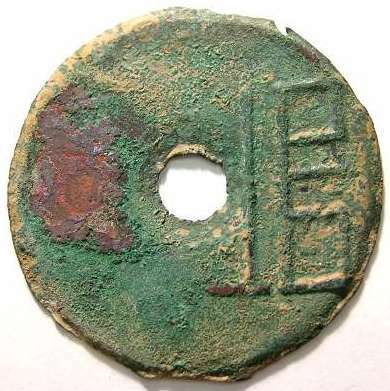 The identification of Chinese cast coins can be difficult, even for those who can read the characters. For the rest of us it can be a very frustrating experience. The purpose of this part of our site is to make the process easier. This will be a work in progress for some time to come, as we add more types. Eventually it will be fairly comprehensive, at least for the types that you are likely to encounter. In the early stages of development, there will be many times that you will be told that the coin is not currently listed. Please bear with us as we build this site. This site is very simple to use. 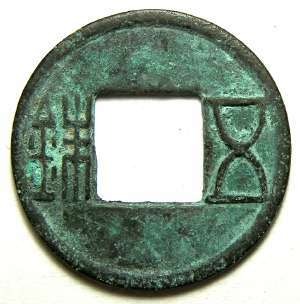 In order to identify your coin we will need to get a little information from you. You will be presented with a sequence of choices. Just click on the one that best fits your coin. If we need more information, you will be presented with another selection of choices. When we have enough information to identify your coin, your final selection will take you to the part of our reference listing where your coin is catalogued. 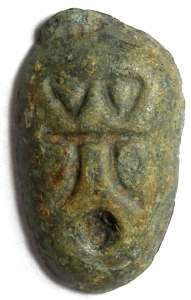 If your coin does not match any of these general forms, it is probably not a true coin, and may be an amulet or other type of artifact. Please feel free to send us an E-Mail with a detailed description (or an image if possible), and we will try to help you find out what your item is. Spade money is a complex subject, but there are only a few general forms into which most examples fall, the most common of which are currently listed (more will be added soon). Click on the form that is closest to your specimen to link to our general discussion of the varieties of that form. If you have an example of a spade money type not currently listed on this site, please feel free to send us an E-Mail with a detailed description or image, and we will try to provide you with more information. 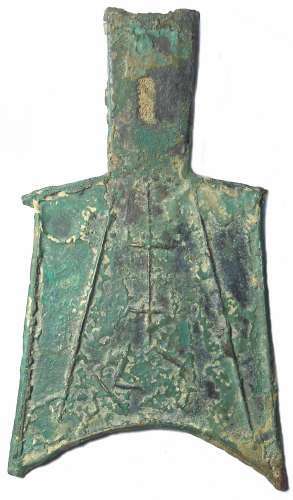 Knife money is less complex a subject than Spade money and most examples fall into just a few general forms, the most common of which are currently listed (more will be added soon). Click on the form that is closest to your specimen to link to our general discussion of the varieties of that form. If you have an example of a knife money type not currently listed on this site, please feel free to send us an E-Mail with a detailed description or image, and we will try to provide you with more information. This part of the attribution guide is by far the most complicated as there are over a thousand types and it will be some time before we can include them all. We will be adding the most common types first, as they are the ones that most people will want to look up. If the type you are researching is not yet listed, and you can send us an image of it, we will be happy to try and identify it for you. 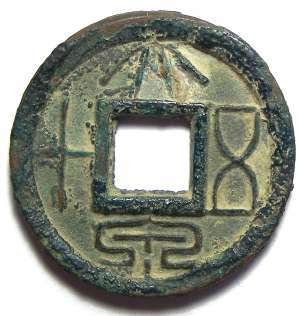 Round coins occur in three general types. 1) All with a round hole. 2) Square hole types with two characters. 3) Square hole types with four character types. Just click on the type that best fits your coin. Copyright © 1997 - 2002 R & T Enterprises Ltd.